Let’s talk about a cheap bridal gowns, the affordable ones. Yes, it is true that your wedding day is one of the biggest days of your life. Most women want an elaborate wedding dress…but at what cost? Nowadays, a wedding dress comes with a price. Most often a price tag much higher than women would like to pay. Nonetheless, they pay it because they want all eyes on her as she marches down the aisle. So many times, parents spend so much on the wedding itself that they can’t afford to buy the wedding dress of your dreams. Some even borrow the gowns from other family members. Most brides wish that they have a dress of their own to pass on to their daughters. Some women desire to keep it in a box in my closet or attic to remember their wedding day and reminisce about the magical memories of that special day. It’s 2017 and times have certainly changed. In this era that we are now living in the divorce is on the rise. Recent statistics showed that somewhere between 40-50% of the people that got married are getting divorced or have already divorced. Are women purchasing bridal gowns because they want to save money? Are they buying them because they figure why spend so much if the marriage may not last? First of all, we hope that all marriages last forever. We aren’t going to talk about divorce now. We are going to talk about why women are turning to lower cost wedding dresses. When a woman buys a wedding dress that is on sale or at an inexpensive cost, people think that they are being cheap. To say that you bought “cheap bridal gowns” to many people honestly just sounds tacky. The word ‘cheap’ in itself just sounds bad. Truth be told, there are a lot of beautiful wedding dresses on the market today that are stunningly gorgeous and inexpensive. Inexpensive is a much better word to use than cheap, wouldn’t you agree? How inexpensive? We’re talking under $99 inexpensive. At Simply Delicious, our online store takes great pride in delivering women affordable bridal gowns that are exquisite. 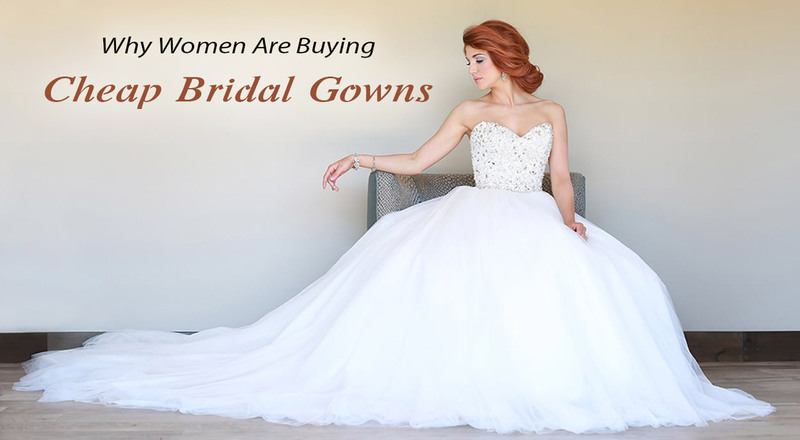 The ratio of women who are buying inexpensive bridal gowns surpasses those who are spending a small fortune on them. In all reality, no one is going to know how expensive or inexpensive your bridal gown is unless they are ruthless enough to ask. That isn’t any ones business but yours. What we are seeing is that lower price bridal attire is catching on. More and more women are buying cheap bridal gowns for their wedding day. If you want to spend a lot on a gown that’s your prerogative. Nevertheless, before you go out and spend a lot of your hard earned dough. Take a look at the bridal gowns at Simply Delicious. You will find them in range of styles and many for under $99. Our stunning wedding attire will compliment a variety of figures. They come in sizes from 2-28. There is a reason why so many retailers and bridal specialists are selling more inexpensive wedding dresses and we’d like you to take advantage of that!